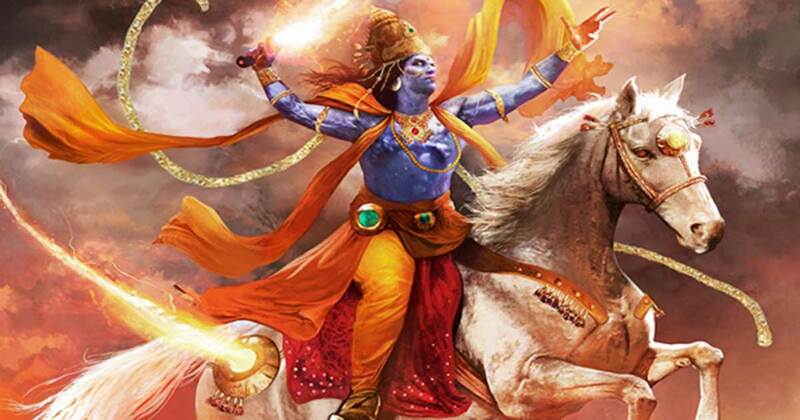 India has one of the best and diverse collection of mythological stories. I remember my Grandmother reciting me various stories of mythology, as a child, I was fascinated. There are some creatures that are very common, but there are many more which I bet you had never heard about. We all have heard about the Kamdhenu cow, but there is another cow in Indian Mythology and that is Aditi. It is believed that Aditi will give and endless supply of milk as long as every human being remains her calve. She is also depicted as the one who cares and nourishes all. Makara was the mount of river goddess Ganga and sea goddess Varuna. It was a half-terrestrial and half-aquatic creature. Often considered as a guarding creature, it is usually found at the thresholds of Hindu and Buddhist temples. 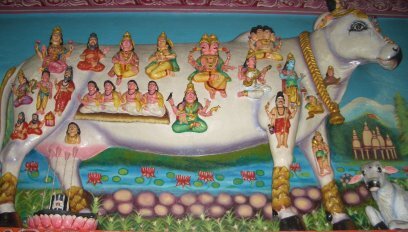 The seven headed, flying, white horse was created during the Samudra Manthan (churning of the ocean) and was Lord Indra’s vehicle. He is considered as the king of all horses. 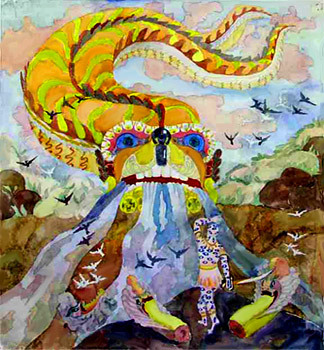 Ahi is a dragon or serpent that can drink all the water of the world. Once when it had drank the water, Indra found him hiding in the mountains that surrounded the world. Indra slew Ahi and all the water came gushing out. This is symbolic to how the water freezes in winters and then starts flowing again in the spring. Indian mythology is probably the most diverse one as it had creatures where multiple animals were conjoined. Navagunjara is another such creature. It is actually made up of nine animals. From top to bottom, head of a rooster, hump of a bull, waist of a lion, tail of a serpent with three feet amongst which one was of elephant, another of a tiger and the third one of horse/deer. It had a fourth limb that was a human arm holding a lotus or chakra. Possibly the most beautiful mythical creature, it is a pure white and winged elephant. 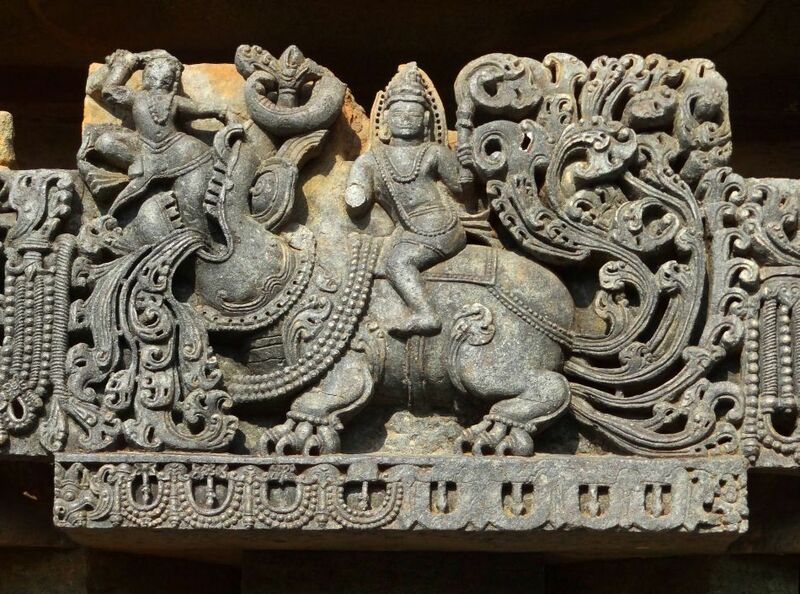 It is believed that Lord Indra was so struck by Airavata’s beauty that he kept him as his mount. Airavata came from Brahma who opened a cosmic egg while reciting mantras. A total of sixteen elephants came from this cosmic egg, eight male and eight female. 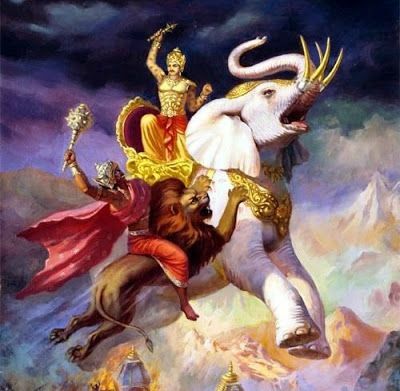 The strongest of these elephants was Airavata. According to stories, these sixteen elephants are supporting the Earth. Airavata had off-springs, but their wings were cut down because of a curse. These descendants are the rare white elephants we hear about today. It is a serpent with 1000 heads that is believed to have saved Lord Indra from an Asura. Shesh-naag lives at the bottom of the ocean and will one day come out and spew poison from his many heads to devastate the Earth. According to some legends, that is how the world will comet an end. 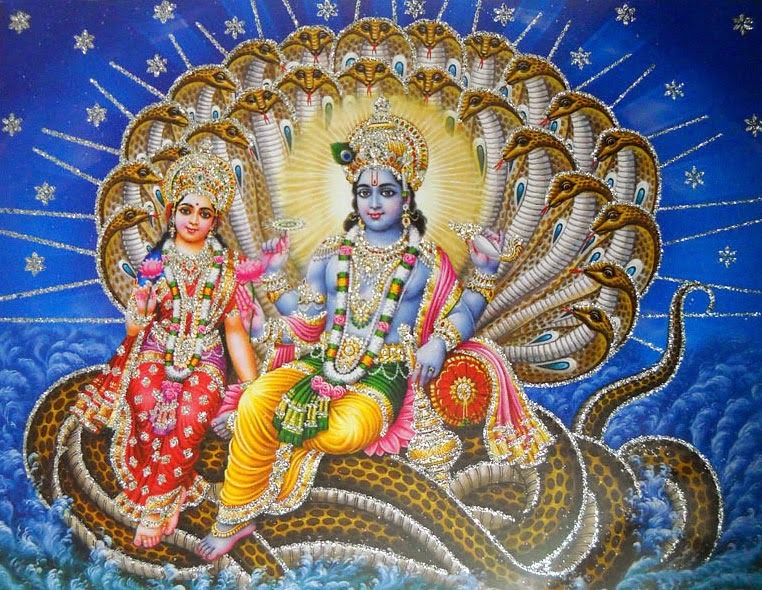 Kalki is the tenth reincarnation of Lord Vishnu. According to the Dashavatara story, Kalki is yet to be born. When the world is full of negativity, Kalki will be born to restore purity in the world. She will come to end the Kaliyuga. We frequently hear about this creature in astrology, but Rahu has an interesting story behind him. A human with the tail of a dragon, he had went to the gathering of Gods uninvited. The Gods were busy drinking Amrit (magical elixir) and did not see Rahu. As he drank some of the Amrit, Indra threw his Chakra and beheaded Rahu. Thus, Rahu’s head was thrown into space where it will roam for eternity. According to legends, it is Rahu that eats the moon (lunar eclipse). Vikram and Vetala story is very famous in India. It features only one vetala, while they are actually a community. 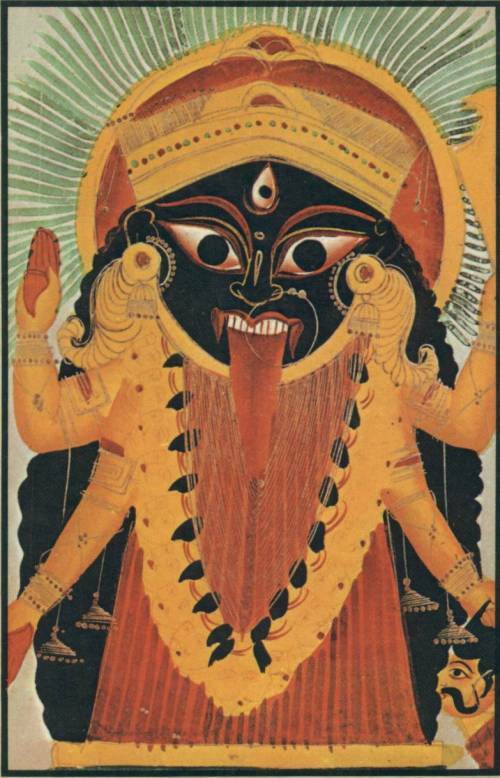 They worship Shiva and are spirits that inhabit a corpse and feed off the living. They also practice black magic, like vampires of mythological world. This kind of treasure trove is one of the many reasons why it is Incredible India! 15 Schools That Look Like They Are Straight Out of Your Imagination!